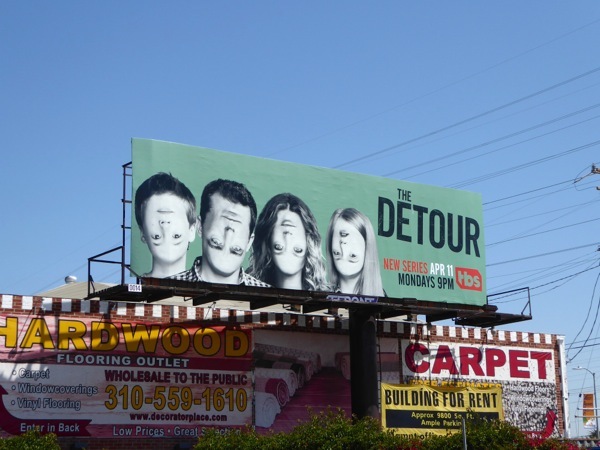 Sometimes life is just topsy-turvy, and sometimes so too are billboard creatives, like these slightly unsettling examples for new TBS comedy series The Detour. 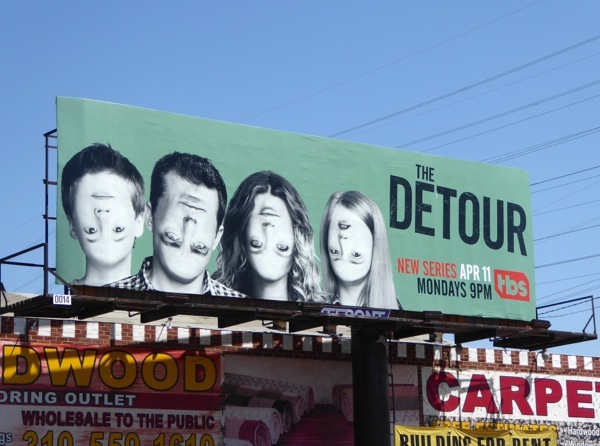 Just by simply flipping this family's facial features upside-down, so their eyes are where their chins should be and lips are on their foreheads, is just a bit bizarre, but on the flip-side very eye-catching. 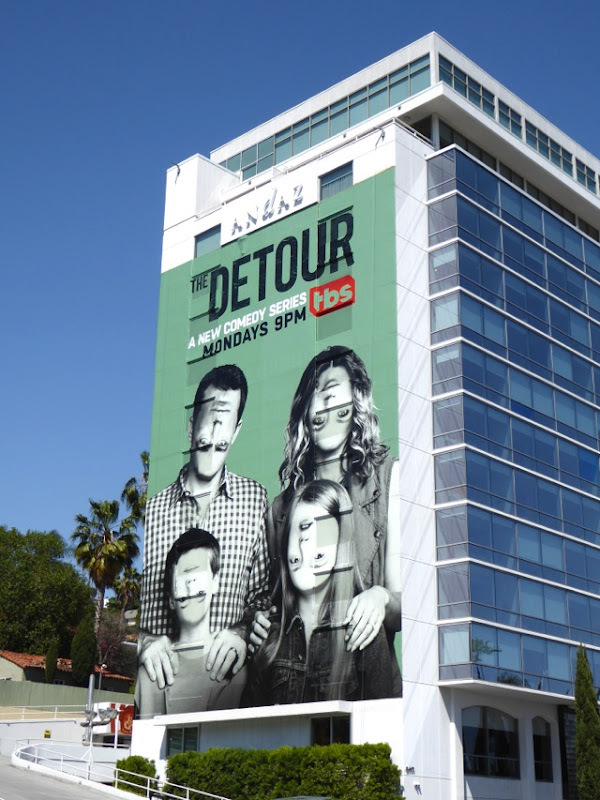 The new family vacation comedy is co-created by Samantha Bee and her husband Jason Jones, based on their own unexpected real-life experiences, who also stars as the patriarch of the family with Natalie Zea as his on-screen wife. 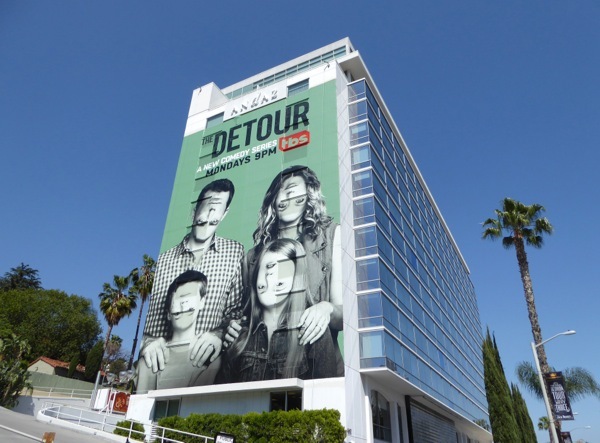 It sounds like this series follows in the grand holiday tradition of the 'Griswold' family, and the National Lampoon film franchise was also recently revived with the Vacation movie last Summer. 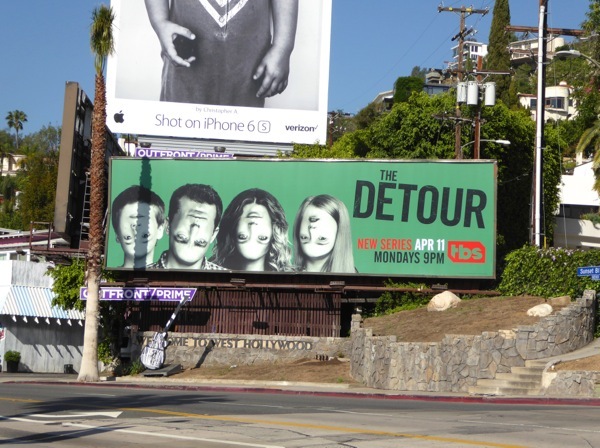 This series launch landscape billboard was first snapped along West Hollywood's Sunset Strip on March 17 (where they've recently planted a new palm tree just in from of the ad site, good for the environment but casting that unsightly shadow), plus also spotted along La Cienega Boulevard on April 4, 2016. 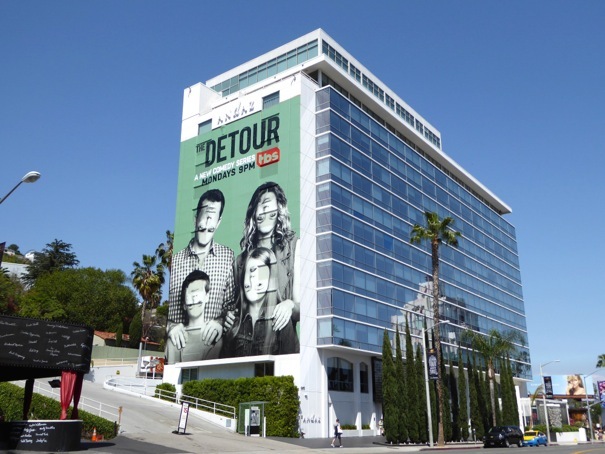 Meanwhile the impressive giant-sized wallscape version was photographed on the eastbound side of West Hollywood's Andaz Hotel along the Sunset Strip on April 12, 2016. The black and white people against that murky green background are unlike anything else around the city at the moment so it really help these ads stand out even more. 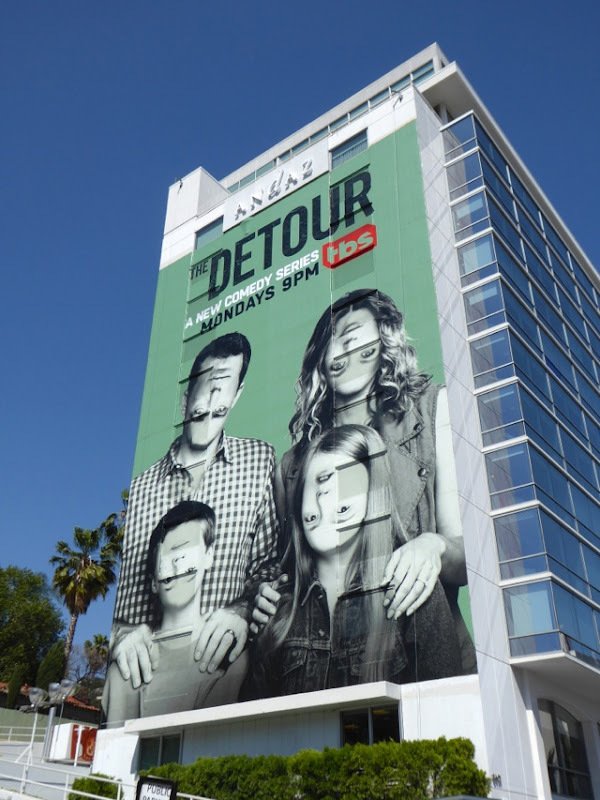 For more visually unsettling ad creatives, be sure to check out this pregnant clown face belly for Childrens Hospital and this freaky furry face Santa Claus billboard also for Adult Swim. 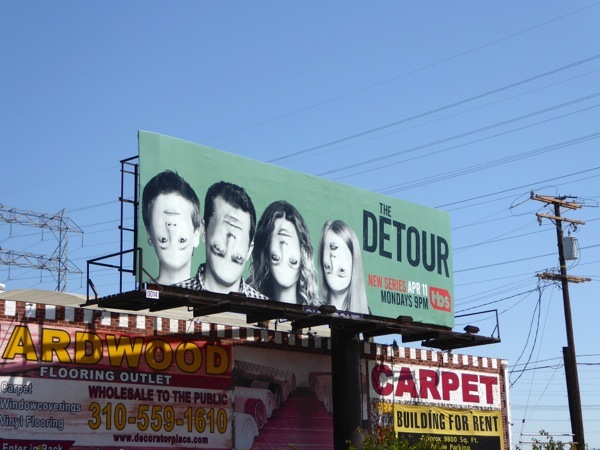 Is The Detour one road trip you'll be along for this Spring?